My genetic origins were especially puzzling. It showed me 100% European with a breakdown of 60% Western & Central Europe, 39% Scandinavian, and 1% Finland & Northern Siberia. I compared this with my paper pedigree, looking at my 16 5th generation ancestors. Of these, 4 or 25% came directly from Scandinavian countries – Sweden & Denmark – so it would seem reasonable that I received 39% of my DNA from them. Six of the 16 or 37% came directly from England to the US with another 5 or 31% Americans whose families came from England during colonial times. That makes about 2/3 of my ancestry English. One of the 16, or .06% was of a family originating in Germany, which I would consider European. Going back more generations through my paper, I counted over 40 English surnames. A good number of these came from Yorkshire, but all together they came from over 12 English Counties. So I was wondering how I could have the overwhelming majority of my ancestors come from England – and I have paper records for many generations in England – but I have no British DNA? All of those English families in all of those counties were actually European not British at all? At first I thought maybe FamilyTree considered all British Isles as European, but others do show percentages of English/British besides European. So if I have no British or English DNA, my .06% definite European ancestry accounts for 60% of my DNA? I was curious – but not enough yet to pay for another test – to see if my results might be different, or at least more specific with another company. I talked to others who were tested through AncestryDNA and they seemed to have more specific results, such as Irish, German, etc. – like on the Ancestry commercials. FamilyTree shows many of my matches with similarly high European percentages, even though I have found some matches who are actually currently living in England. I had lots of questions: Is FamilyTree just overly broad? Are they looking at more ancient origins? My paper genealogy does connect back to European Royalty, but that requires going back to Medieval times. I read an article by Ancestry.com on British DNA which might give some answers to my questions. Apparently many British people are not very British either. There is a large concentration of Western European and Scandinavian DNA along with Anglo-Saxon and Celtic in the Isles. So one possibility might be that all of my English ancestors were of European or Scandinavian Ancestry, or somehow as the genes were passed down, the ones I eventually received were those rather than any Anglo-Saxon ones they may have had. Then I received word that FamilyTreeDNA had updated their MyOrigins making it more detailed, so I checked that out. Now I am only 98% European with this breakdown: 44% Scandinavian, 40% West Central Europe, 11% Southeast Europe, 3% British and a less than 2% trace of East Europe. So I guess I am a little British after all! I am now even more Scandinavian, but I also have some of my European spread further south and east. If I am 98% European and the 2% trace is also technically European, I am wondering what else is trace? It is now not showing the Siberian, which to me would be considered outside Europe. Many of those who have taken the FamilyFinder test have not listed surnames or provided a pedigree chart for comparison. I had difficulty downloading a pedigree myself, so I am guilty of not providing that information at this point. I did give a long surname list and there are many matching surnames shown, but not necessarily from the same places, so some of the same surnames may be very different families and not matches at all. It is not easy with the available data to determine exactly where the matches occur. The relationships do not take into account the possibility that there might be multiple connections on different family lines, which make it appear that there is a closer relationship than there is. The results list many people within 2 – 4th cousins, but the paper records – which I have and feel confident in their accuracy – do not indicate that close of a relationship (Like the connection with Bygod Eggleston). My confusion and disappointment in my test results may be because of my particular expectations. 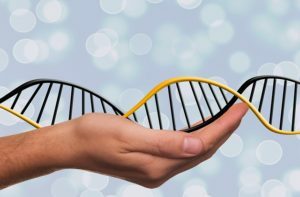 After taking a closer look at various DNA testing companies and their advertising, I realize that people seek out and take such tests for a variety of reasons and some testing approaches appeal more to some than others. Many seem to focus on ancient genetic origins. I have some questions about general conclusions about genetic origins, which seem to be shared by most companies, though their results may be more or less detailed or specific. I wonder if there are enough or even any “pure” populations with sufficient numbers tested, to determine what DNA markers actually belong to a particular group. Throughout history there has been mingling and migration, so have any groups, other than maybe isolated Island peoples, continued with pure genetic lines? Maybe I am overly skeptical but, I feel that this is still pretty young science and there is much to be learned. As a genealogist, I was less interested in ancient or even genetic origins. Possibly those who have done no traditional genealogical research and know very little about their history would find this enlightening. I however, was confused that it seemed to conflict with what I knew from paper research. My interests were to use DNA to enhance previous genealogical research. I hoped to find genetic matches that would confirm relationships and in the process possibly find relatives to connect with through collaborative research or simply to become acquainted. I hoped that DNA could provide additional evidence of shared ancestry, answer questions and help solve mysteries. I also am interested in the potential to compare shared DNA to determine which genes might come from which lines. It is exciting that DNA is being used for genealogy and that more people are being tested. As the pool of tested people becomes larger we may learn much more, and possibly there will be more changes in interpretation. It would also be a great benefit to have collaboration and sharing of data between the various companies doing testing. At this point it seems to be a profit driven competition rather than an effort to expand knowledge and make real connections. So I will be watching and waiting and hoping to learn more. And I will keep working on genealogy the old fashioned way with records. This entry was posted in My Stories of Discovery and tagged DNA, Eggleston, England. Bookmark the permalink. Yorkshire England was a very Danish settlement at one time when they were invading Britain. England was first Celtic and the Angles and Saxons were a form of western German and Dutch who settled in Britain and pushed the Celts west. Then the Danish and Norse started to invade and eventually settled in Yorkshire. I never knew I had scandanavian roots until I got my DNA done. Both my English and German sides had Danish invasions. I am only related to Eggleston’s through marriage.